If you’ve ever called into Riverside Customer Service, you probably recognize the name and voice of Amii Grace, our dedicated Customer Service Manager. Over the 2 ½ years Amii has been with Riverside, she has been instrumental in growing and training our team, establishing protocols, and streamlining processes implemented daily. On any given day, Amii might be helping account executives with client solutions, analyzing rates for our customers, organizing and supervising the customer service team, implementing quality assurance, and troubleshooting escalated calls to successful outcomes. Before Riverside, Amii worked in the retail industry, managing several stores and enjoying face-to-face interactions with customers and staff, but family health challenges left her wanting a job that afforded stability, yet enough flexibility to allow her time off when needed. That’s when a couple of friends introduced her to Riverside. Amii immediately demonstrated a strong work ethic and leadership qualities that quickly moved her up the ranks into a management position, where she has proven invaluable. On those occasions when Amii needs time off, she knows she always has a family in which to return home. 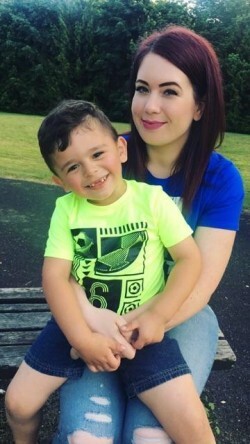 When not at work Amii enjoys spending time with her son, Abel-age 3, having fun with arts and crafts and other activities. Amii also enjoys playing soccer, hiking, and dabbles with painting and photography. Amii Grace plays a huge role in the success of our company, and we’re extremely happy she’s a part of the Riverside family.